Ever wondered how some companies get placed high up the rankings without too much happening on their website? For those who don’t want to concentrate their entire web marketing efforts on social media and blogging, there are other ways to optimize SEO. Content for great SEO is of course a dynamic tool, and there are plenty of businesses out there which employ fantastic writers to create it. Many have social media managers whose sole focus is to communicate with customers on social networking sites. However, not all businesses have access to this kind of resource, so there is a dilemma: how to achieve the exposure without having to write the content. Being able to not just talk the talk, but walk the walk, is the keystone for a successful business long term. If a business delivers when it says it will, treats customers as individuals, places high emphasis on customer relationship management and takes the time to attend to the finer details which make it a pleasure to deal with, that business is going to get recommendations which get it plenty of exposure and consequently boost its search engine position. Getting customers and other businesses talking about your products and services for the right reasons is one of the most powerful SEO techniques around. Successful businesses understand that to stand out, they need to be outstanding. This means taking the basic business model and tweaking it so they are the people that customers automatically think of when they need to make purchasing decisions, because they offer that bit extra, that special feature that maybe no other business has thought of. Reviews sites online are multiplying daily, and whatever customers want to buy or use, they can find a review of it, good or bad The best sites can make or break businesses, and to send a product or service viral; all it takes is the right review at the right time, with the right links. Being indispensable to the public and other businesses because no one else is doing it quite as well. Well established businesses have long understood that word of mouth is the best advertising tool, and this applies on the Internet in the same way as in the local neighbourhood. Being a persistent and determined attention seeker is another way to gain SEO without having to write pages and pages of content for the Internet. A substantial advertising budget using lots of different outlets combines to create the perfect marketing mix and this in turn leads to demand for the brand. The biggest companies in the world never stop advertising and never get complacent about how well the customer knows their brand. This can include getting creative on YouTube, using live streaming to their advantage and using video inventively, as well as employing the classic media of billboards and press coverage. They may not write thousands of words of copy for their sites, but everyone knows what they stand for because they push their branding promotional activity all year round and the Internet picks it up like a magnet. Share in the comments below, what non-SEO tactics do you use to rank? 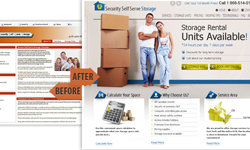 Over the past couple of years, I worked on numerous link building projects. 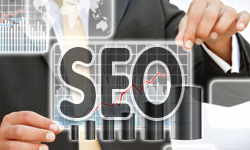 One of my greatest hobbies is writing about SEO on our company blog. If you have any questions, please don't hesitate to contact me. Cheers, Lyuben Georgiev. I enjoy writing all of the information on my site. At least when I do the writing, I know for a fact the information is relevant and on the topic that I need to have. So I can easily know more about the topic and get it ranked properly. I also think that the quality of your content is really the key. You get to build brand awareness, establish credible reputation, attract good reviews and maintain good relationships with your audience if you consistently produce high quality content and provide value to your market. You can get great ratings and views without SEO. There was one man who made a living writing articles on websites of the likes of Hubpages and Squidoo without using SEO at all — only interesting articles. But I think that SEO will boost your traffic — a lot. That man can make twice as much with SEO. It’s always great to know other methods of SEO other than posting great content. This way, you can supplement quality content posted on your blogs with all the other ways to go higher up the rankings. This actually sounds to me like a win-win situation on every level. I think building your brand is very important. When you are still on the start-up phase, SEO content is very crucial. Keyword density would be the key. But once you have established your credibility in the blogging arena, you are already guaranteed of readership. They already look at you as an expert they can rely on for information. There is also the Wikipedia method. You become a sink for incoming links, where outgoing links are nofollow. You then distribute links internally by having lots and lots of internal cross-linking. If a work or phrase can be linked to an internal page, link it. This will only work if you have good in-bound links. But if you do it’a a way of getting your entire site to rank well. I don’t mind writing heaps of content (in fact, it’s what I love to do!) but it can take a lot of time so it is great to have other marketing options to keep things moving when I’m too busy with clients to write as much content. I agree that great service and products is a key to business success and getting good word of mouth marketing. Another non-SEO thing I do is to be active when learning something. For example, if I am listening to a webinar I tweet bits of what I hear using the provided hashtag – it gives my followers some additional information but also lets others on the webinar see me on Twitter so I can ‘meet’ new people. It also helps me learn what I’m hearing so it’s positive all round really.